Benchmark Handicapping System has matured nicely in Australian horse racing. Learn more about this horse racing system in this second article written by Paul Segar and brought to you by Pureform. The benchmark system of handicapping racehorses in Australia has been in play now for some time and has matured quite nicely with most horses handicapped according to their ability and graded with a benchmark rating. Although some horses are badly handicapped at times, e.g. maiden winners moving up in class, the system overall works quite well. Most runners are rated according to their first win or runs in non-maiden higher classes with this initial rating adjusting after every performance. Ratings movements both up and down are based on performance, or lack thereof. A horse that wins a race and receives a 62 rating then runs unplaced at its next few runs might drop a point and then another point for each subsequent unplaced run. If the same or another horse wins its rating might jump up by 3 points. The rating will either continue to climb for the improving type or level off after a series of runs. This is of course why two and three year old races are tricky events. Many young horses rapidly improve resulting in a massive rating increase especially with increased distance catching both the handicapper and unaware punter alike. There are a multitude of different race classes with horses in events varying from maidens to open handicaps, from non-TAB benchmark 45s’s to benchmark 90’s, from a class 2 to the top weight for age champions and more. The good and bad of the system is money can be made, and lost, on each and every event. The best of good things can be found in that major carnival or in the year’s worst race with that alternate and often wagered result leaving little more than worthless tickets or a series of online receipts. Simply following benchmark ratings will not produce any huge success but a better understanding of these ratings is one part of a multi-pronged approach in gaining an edge in Australian horse racing. The system is quite broad and rates horses across Australia using the same basic approach with focus on many aspects of the new benchmark system producing concepts and misconceptions a plenty. That’s what makes racing that fickle love hate affair that is hard to live with, and you can’t back every horse in a race and make a profit!! I think the late Don Scott did brag of doing that in one of his books. 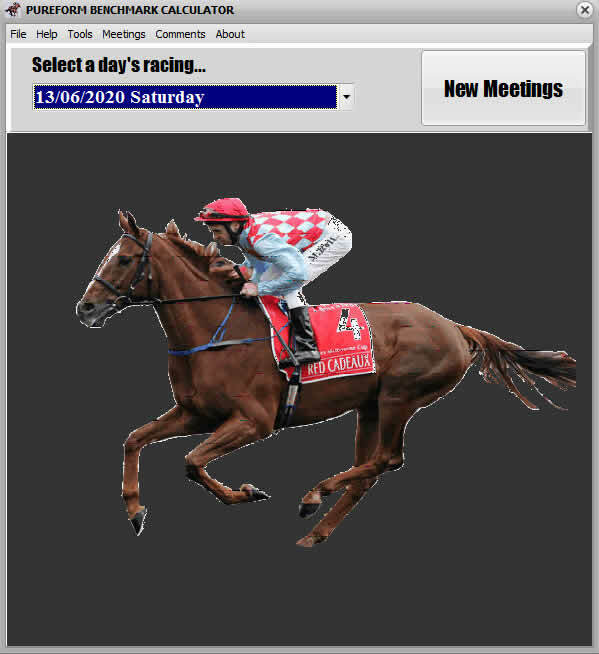 The keen modern day operator charged with todays’ technology can quite easily organise a small profit in many events but this is not the aim of the average punter. The benchmark system produces banded horse racing with ratings in the 60-80 range perhaps the best for consistent racing and predictable racing results. Higher benchmark races for provincial, country and mid-week city racing are effectively the old open handicaps with a little bonus of some additional basic class information. So a BM72 race is in theory of a lesser quality than a BM78 event and so on. Previously these events would all be classed as open handicaps or some other variation, Flying handicap was used quite often for short distance race events. Since these "open" handicap horses have all worked their way up through the grades and as a result have been carefully graded, the standout wager is often well hidden or in many cases, completely hidden. The standout wager in those lesser style open handicap events of yesteryear was likewise well hidden. The list of performers in a BM 78 race gives an idea about the quality of the gallopers and for many races the benchmark figures are included in the formguide; generally horses entered will be around the 78 grade and weighted using the sliding scale as disussed previously. A R 0-78 event may consist of horses of lesser quality than the maximum grade of 78 but certainly no horse entered in that race will be of higher grading than 78 standard. So generally a benchmark race will be of a higher standard than the equivalent ratings based race. So a R0-89 race will most likely be of a lesser quality than a BM89 event. As with anything in racing, any generalization is limited and all you can hope for is something that frequently works. So rule number 1 is horses moving from a benchmark event to a rating based event of the same level are generally down in class. Weight movements will often indicate if a horse is up or down in class. A non-winning runner moving up in weight is usually down in class. Assessing a winning performer is a little harder as a win usually results in a weight penalty quite apart from any class movement. The old timer Rembetica is a great example of the system working for moderate but at the same time capable performers and this section follows on from the 55 section in the previous article. Skip this section if these horses are of no interest. The following examples highlight horses which have raced in the benchmark system and shows how their ratings change and the result of these changes and illustrates some of the benefits of the new system for owners, trainers and punters. Not exactly at any time being a superstar, Rembetica took 5 starts to win his maiden over 1850m at Newcastle in December 2008 clearly flagging some sort of staying career as the likely pathway. Most capable horses win their maiden after only a few starts. In the old system Rembetica would have been eligible for a class 1 or higher event after that win and basically have only that potential option. The horse ran a couple of placings again at Newcastle at his next few starts in class 1 events and ran in a few higher ratings based events without success. At this stage connections were still trying for higher quality prizemoney and getting an idea of the galloper’s full potential. Over the next year or so he made some progress to staying distance placings at 67 and 72 level but that further elusive victory was not forthcoming. It took Rembetica over 35 starts to finally win again in a BM 54 event at Cessnock March 2011 but over that period ran a number of further placings showing some ability, albeit limited. This is one of the pointers to horse form. Simply leave the out of form horse alone from a win bet viewpoint until it shows at least a hint of form. Rembetica then ran another placing in a class 2 event, stepped up in class and failed in a BM70 event only to drop back a few grades and win in a BM58 event, again back at Cessnock. As they say, “horses for courses” and clearly Cessnock was Rembetica’s happy hunting ground. He then ran a couple of strong races at higher levels to again win back at the earlier hunting ground of Newcastle in a BM60. Two more runs and he finally received a well-deserved spell. So as can be seen from this example, the horse was able to win races and at the same time, from a series or poorer runs, kept his benchmark rating in the low range. So the horse was capable but not at a high level and clearly had ability at around the 60 level - connections now knew the correct racing level. We could now take all this information and call it the horse’s profile. Back from a spell he ran some solid races at BM65 level and after 5 runs in late 2011 won back at Cessnock over 1550m in a BM60, this was an exception run being shorter than the expected 1800m+ distance. 3 more unplaced runs and back to the paddock. Next spell in early 2012 he ran 6 unplaced races before going for a further spell. Later on his next campaign in late 2012 he ran 3rd second up in an Open handicap at Musswellbrook over 1280m suggesting his best ever campaign but another 15 runs yielded little more than a couple of placings. Back from the next spell in late 2013, it took 10 runs before another victory, this time at Port Macquarie in a 2000m BM55 event at the juicy odds of $21 to illustrate the beauty of the new rating’s system - the poor runs lowered the horse's benchmark rating and as a result got to carry less weight (but at the same time gained racing fitness). As of writing this article Rembetica has had 90 starts for 6 wins and 20 placings and although there is nothing certain in racing, it seems very unlikely the same horse would have won at class 6 level and most likely would have long been retired after winning a class 3 event. Australia is made up of an aging human population so why not the horses too? Profiling horses is a positive way to not only have a better understanding of a horse but at the same time point to its likely strengths and weaknesses. For Rembetica, he is clearly a strong staying type around 2000m at 60 level but as everyone knows horses deteriorate with age and for current racing his best is probably now below that level. Lonhspresso at the other end of the scale and with far fewer starts moved from a second in a Swan Hill maiden to the Group 3 WFA Heffernan Stakes where she was an unlucky 8th. Her rating went from 0 in a maiden second up to 92 after her Morphettville win and finally to 95 in only 4 runs. It’s hard to say where the mare is headed and the step up in class has proven to be tough but back from a spell next time should see her perform well at the elite levels. Or will the class rise prove too much? You can wager on either option. Aside: Lohnspresso has raced a number of times for win at Flemington over 1200m in listed company and clearly showed her ability in that race. Back at the other end of the scale is Juan Tuffamigo and a worthy naming of a most definitely tough but limited type of galloper. The imported Juan Tuffamigo is another example of a horse suited at a particular level (imported from King Island). Running in only class A and B events on the island the gelding moved to Victoria and after a few acclimatizing runs, won a 58 class race in May 2013. He then raced a number of times in 64 class events only to finally drop back to a 58 race in January 2014 and won again. Not a bad type, he will probably win a 64 class event, but that will be about it. Look for him in a 58 again where given a reasonable weight he looks almost unbeatable. Aside: Juan Tuffamigo has also raced a number of times but only once at 58 class for a Donald win over 1354m in May 2014. These three examples highlight to an extent the different ends of the restricted rating scale and knowing the quality or class of the performer can be profitable. Finding a horse on the improve can yield some solid financial returns but at the same it can be difficult to understand or anticipate this improvement. An understanding of the seasoned runners (more than 10 starts) and their potential racing level is a strong card to play. The horse steps up in class, you almost know immediately it will fail and likewise when back in class, it can become a strong contender for further racing success. Rule Number 2. Analyse the horses racing today for their best racing level. This is a very useful template and shows the relationship between the various classes. Basically they have a nominal 1.5 kg (3 benchmark points) increase as a horse moves from class 1 to 6 with the other classes melded somewhere in between. A BM75 is rated as being 2 kg stronger than a class 6 with a class 6 city Saturday event rating 2kg stronger than the midweek equivalent and a No Metro Win being 1.5 kg weaker, a One Metro Win event being 1 kg weaker and a Two Metro Win event being 1 kg stronger. This event is then still rated 2.5 kg weaker than a BM95 and 4kg weaker than an open handicap. Confused? Take a look at the template for a better understanding of the figures but be prepared for some serious study. Download the template and take a closer look if interested. It is probably more useful to the potential horse trainer weighing up placement options than for a punter making class change calculations.